Most of us have a lot of stress in our lives today. Some of it is due to the fast-paced society that we live in and some of it is self-inflicted due to who we choose to spend our time with. The fact is, misery loves company. If you want to live a positive and happy life, surround yourself with positive things and positive people. The more positive energy you manifest into the world, the more positive you’ll get back. Whether it has to do with diet, exercise, or just having a positive mindset, set realistic and specific goals that have a timetable so that you know when you’re supposed to be done with the goal. Write down the goal and the steps that you’ll take to reach the goal. Then add it to your calendar. Feeling accomplished will automatically make you feel more positive. If you want to be more positive, start with yourself. When you feel your mind go toward negative self-talk, change it around to positive. Instead of, “I am fat,” change your words to, “I am healthy and I am eating right to make myself even healthier.” Even if it’s not immediately true, the more you tell yourself it’s true, the more you’ll seek to make the behavior match the feeling. It's almost like a self-fulling prophecy! Find the most uplifting and positive music that you can find and put it on your play list. Try listening to happy music at least once a day. If you can figure out what time of day you are generally prone to negativity, try listening to that music before that time comes. There is no shortage of positive books to read in the library or on Kindle. There are even a lot of free inspirational books available. Keep your eyes open for the free offers; join a group on Facebook that helps you find positive free books to read on Kindle. Try to read one positive book each month. Remember that positive people generally want to hang around with other positive people. Therefore, if you want to meet more people who fit that description, you’ll need to focus your thoughts and actions more on the positive than the negative. Otherwise you’ll turn them off and they won’t want to be around you, which could backfire on your new positive world. The character Stuart Smalley made fun of affirmations in his famous skits on Saturday Night Live but the truth is, it works. You can use the mirror self-talk or you can use a journal to write down five good and positive thoughts every single day to help you focus your thoughts in a positive direction. 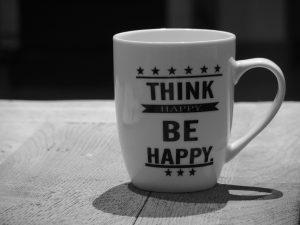 If you currently live in disorganization and clutter it can be very difficult to think positively. Try to work on one room at a time to redesign your life so that your surroundings are uncluttered and attractive. For organizational tips try visiting FlyLady.net which has many tips on how to get your home organized easily. Surrounding yourself with positives is something that is very realistic and something that you can accomplish. Choose one thing at a time to work on, giving yourself a time limit on when you will accomplish adding every one of these positives to your life. You will be glad you did it. Struggling to make changes in your life? Learn the power of affirmations to program your mindset and get what you want. Using affirmations is a powerful thing. It can be used to program or reprogram your mindset. When practiced deliberately and repeatedly it can strengthen the connection between your conscious and subconscious mind. If done correctly, it can change your life. 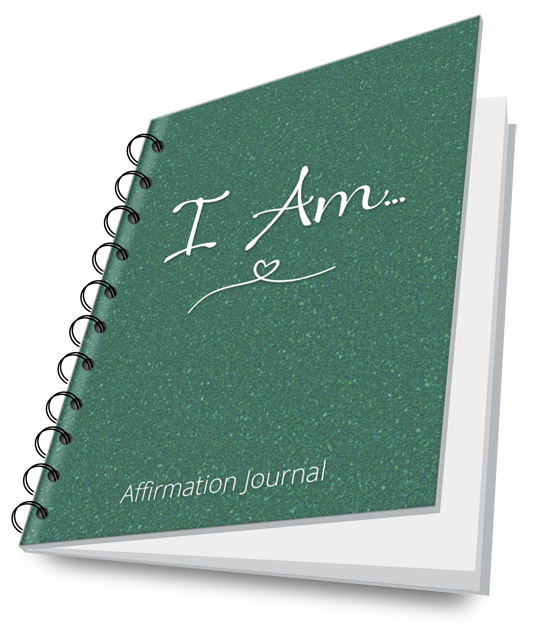 Using a journal can help solidify the affirmations in your mind.